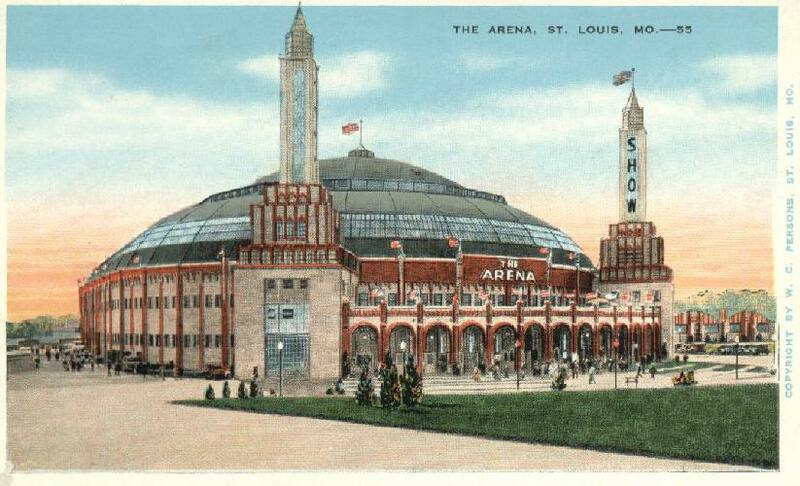 St. Louis Arena - Can you imagine drawing 17,984 seats by hand? 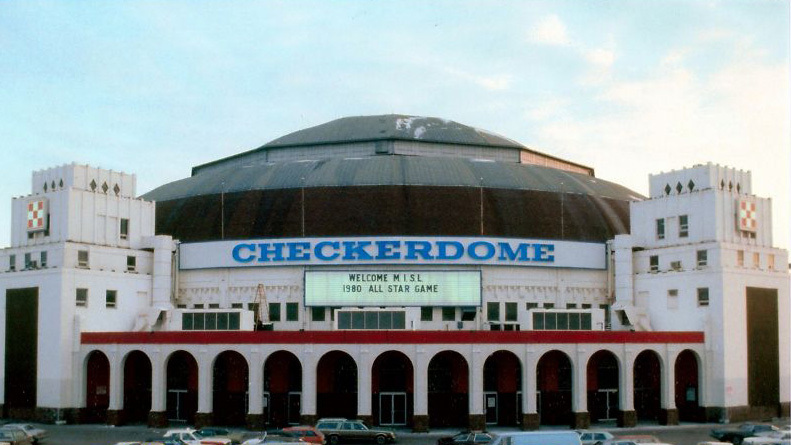 This posting is directed at fans of the St. Louis Blues and/or anyone who loved the venerable and magnificent St. Louis Arena, aka Missouri Arena, aka Checkerdome, aka The Barn. To learn more abut The Arena, please see what our friends at Wikipedia and Ballparks.com have to say. We stored the seats in a dodgy part of town and we used a lot of pressure washers to clean them (I seem to recall we bought at least six). 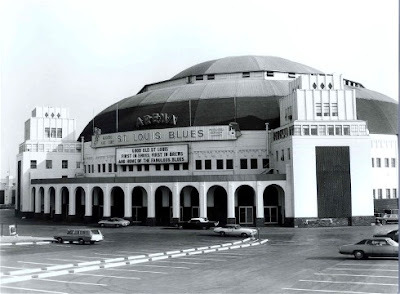 We had a lot of fun selling them to fans of the Blues and fans of the Arena itself, and it took about three years to sell almost all of the seats. 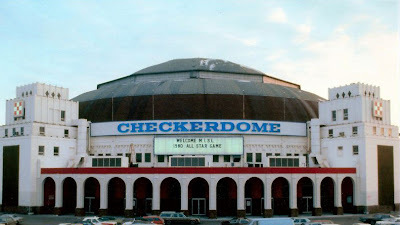 We ran radio ads and newspaper ads, did the usual PR efforts and generally hustled as best we could. One lesson in life - selling the 1st 500 of anything is a whole lot easier than the last 500. It may never have occurred to you, but two adjoining seats share the same arm-rest "bracket" such that when you separate the seats, you end up losing every other seat because it doesn't have its own armrest. So when I say we sold almost all of the 3000 seats, I really mean we sold 1500 individual seats. 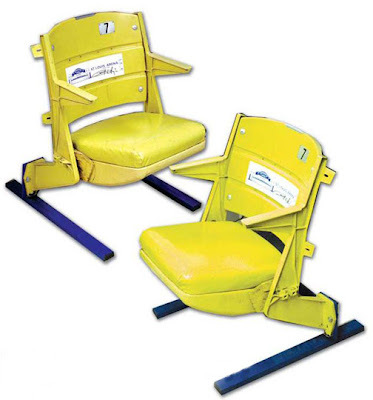 I will tell the story of the seats in greater detail another day, but this story isn't actually about the seats! It was important to us when we were removing the seats to make note of the location of each seat. Thus we asked the building officials if they had a floor plan that would help us in the process of identifying each seat location. 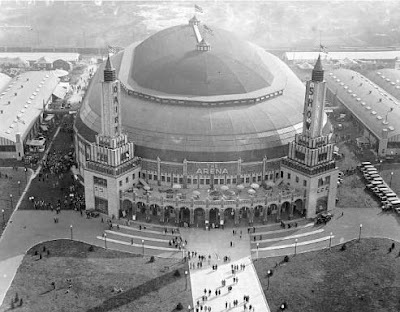 What they were able to come up with was a wonderful (but undated) seating plan of the Arena. What is so brilliant about this seating plan is the incredible level of detail - literally every one of the 17,984 seats is shown. And it has all been done by hand!!! I wish I could say I counted each seat, but it appears that someone did! The one other thing that I love about this seating plan is that it refers to the St. Louis Arena as the "Missouri Arena", not a name the building generally went by. I would love to know the full story! And if you want to see this 28" x 44" floor plan live and in person, it will soon be proudly hanging in Frankie G's on Telegraph Road in St. Louis. When I know it is on display, I will update this post so you can see it in person. If you have any questions, feel free to call me at 416-315-4736 (Toronto) or email me.